Everything happens in life for a reason. I came to Stalybridge in 2009 by chance, my brother in law had decided to open a taxi firm here and asked for my help. I had recently returned to England from working abroad and the jobs market here was non existant,the recession had just started. I saw Melbourne street for the first time and my impression was of a ghost town, but at the same time i saw potential. Since that time I have made many good friends and have been involved in the revival of the town, in not just encouraging new businesses to come, but by helping to organise events that are attracting people and see the revival first hand. The potential in my eyes is the great wealth I see in the people of Stalybridge, because without them the town would have died a death a long time ago. Why am I standing for the Green Party? I don’t want to see more unfair cuts, no fracking in Tameside, no building on the Green Belt and improve public transport rather than building more roads which add to congestion. 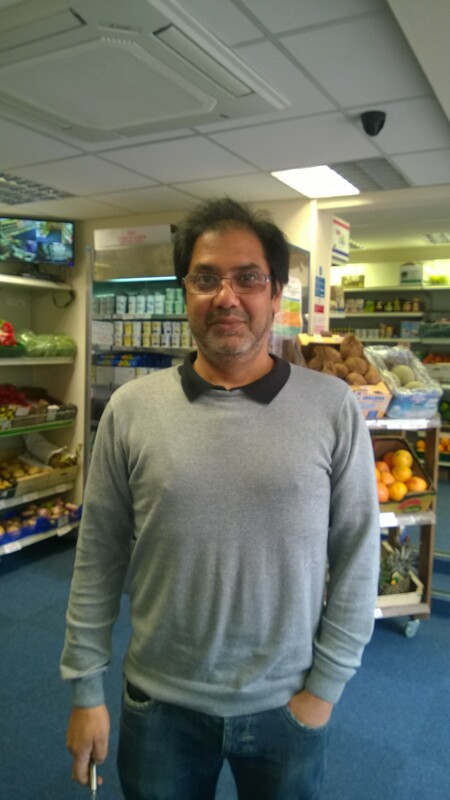 This entry was posted in Tameside Election Candidates 2014 and tagged Green Party Candidate for Stalybridge South ward, Mohammed Ramzan, Tameside Election Candidates 2014 by tamesidegreens. Bookmark the permalink.